Love Story Openning from Macrobiótica Mediterránea on Vimeo. If I could travel back in time in this very same moment and become the director of Love Story, I would include several scenes about what happened in Boston at the beginning of the 70’s. She could have ordered whole rice and sauteed vegetables, and he could have ordered halibut and salad. They would have had kukicha tea and cherry pie for dessert. And all for 6.7 dollars. In their conversation she, more daring and a bit of an explorer, would have explained to him what macrobiotics was. Another day, in the afternoon, they would have gone to buy whole rice, lentils, miso and tamari to Erewhon, a small shop where every Thursday a Japanese man on his forties used to teach. They would have left the shop with a copy of the East West Journal. After several years of poverty, of failed businesses and of teaching here and there, the Kushi moved from New York to Boston following the recommendation of Robert Fulton, who was considered the first American student of macrobiotics. 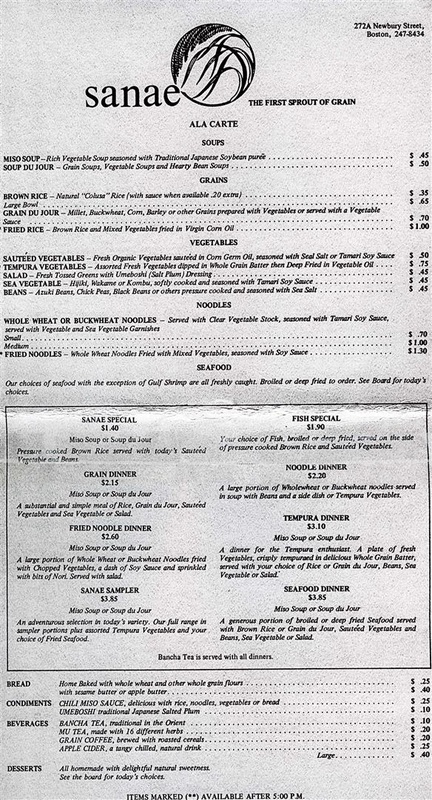 From 1966, the year when the Kushi moved to Brookline, macrobiotics started to grow and to have a name. 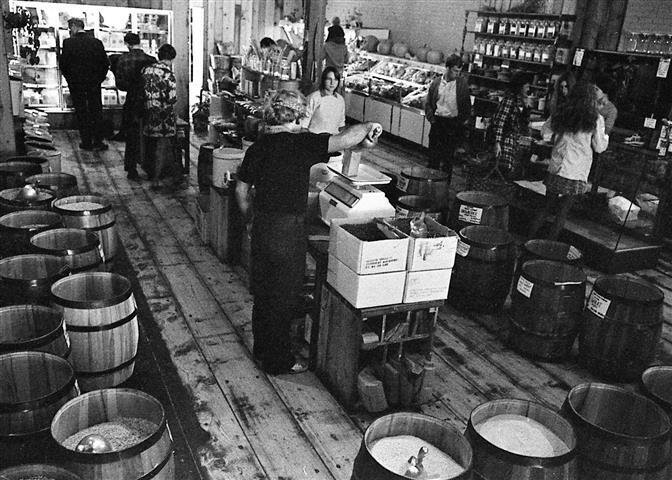 Aveline opened Erewhon, a small macrobiotic food store with the help of Evan Root, Ron Kotzsch, Bruce McDonald and others. Michio started to teach at the back of the store. From Wellesley, we moved to Brookline, a lovely residential town with wide streets, spacious parks, and good Schools. Enclosed on three sides by Boston, it was an oasis of peace and quiet in the center of a big city. We rented a house at 216 Gardner Road near the high school. Downtown, in the Back Bay section of Boston, we started looking for a small storefront to hold classes and distribute food to our students. We found a small shop on Newbury Street, a fashionable section of brownstone apartments that had been converted into boutiques, art galleries, and cafes. An antique store was next door on the north side of the corner of Fairfax Street. handful of people came. After my husband spoke, I talked about cooking brown rice and distributed the rice balls. Evan Root, a young man from New York who had lived with us in Wellesley, became the shop’s first manager. Sometimes he would spend the entire morning or whole day talking about macrobiotics to someone who walked in off the street. It soon became clear that we needed a name for our store. I immediately thought of Erewhon. George Ohsawa admired Samuel Butler’s utopian novel of that name. Michio immediately agreed with the name. I was very proud. From that moment onwards, macrobiotics would enter its golden age: the decade of the 1980’s. Thanks to the educational activities, the publications and the media impact of some of the cases, many of us know about it currently. Kushi, M. (1986). The Book of Macrobiotics (Revised and enlarged edition). Tokio and New York: Japan Publications, Inc. Used for the chronology. Michael Rossoff, credit for the pictures. Previous post: Macrobiotic Remedies: What are they? Please check your inbox and confirm your suscription.